When did the world wide web become history? As the iconic ‘Dancing Baby’ turns 21, internet users, budding digital historians and the simply curious are offered a trip down www. memory. lane in London from 30th March to 21st April 2017. 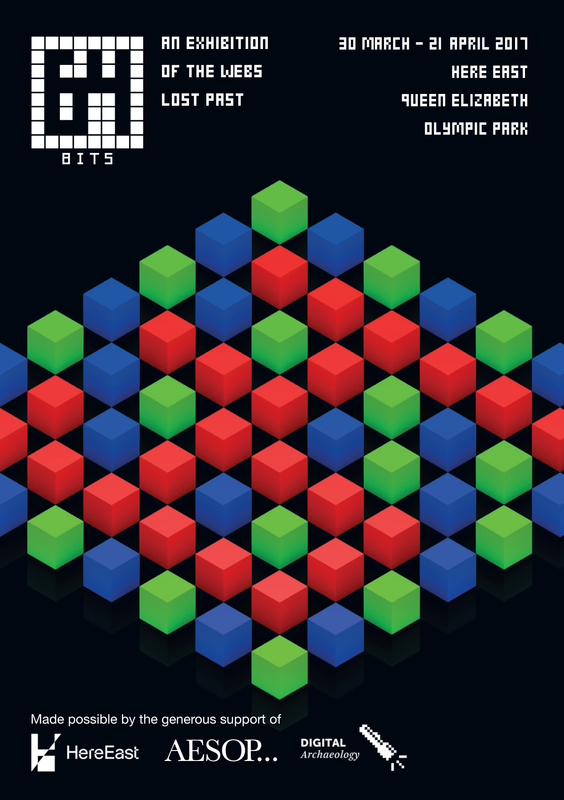 64 Bits: An exhibition of the Web’s lost past, a new interactive showcase of 64 seminal moments in the web’s history, is taking place at The Press Centre, Here East, in iconic Queen Elizabeth Olympic Park. Billions of people use the web on a daily basis – but do you know who invented the search engine? Would you be interested in browsing the world’s first ever website? Have you ever heard of Susan Kare? 64 Bits is a fun, interactive recreation of the early years of the web. As part of a wider digital archaeology project, it seeks to plug gaps in the historical record by telling the stories of the forgotten artist engineers that shaped today’s digital culture. Take Alan Emtage, Barbadian-born inventor of the search engine. Billions of people use the technology he created on a daily basis but very few know his name. The exhibition includes a working version of his first search engine, Archie. Equally significant, is the work of designer Susan Kare. Her icons and fonts have been seen by billions of people, yet few know her name. The exhibition incorporates a selection of the key milestones in her career, including the original Macintosh icons, the MacPaint interface and the Microsoft Solitaire playing cards. These are not isolated cases. Many pioneering examples of digital creativity from our recent digital past can no longer be seen. Files have been lost or stored on redundant media. People have passed away. Companies have gone out of business. Stories have been lost. 64 Bits explores these forgotten roots and offers alternate histories. A key part of the exhibition is an open-door digital media archiving service, supported by the British Library, where artists and designers can bring in obsolete media to migrate inaccessible historical artwork to a modern format. Where appropriate, the excavated work will be exhibited as part of the exhibition. Jim Boulton is the entrepreneur behind one of the UK’s earliest web start-ups, Large Design and is now Digital Director at Aesop Agency. He is the author of 100 Ideas that Changed the Web, published by Lawrence King and curated the historical part of The Barbican’s hugely successful exhibition, Digital Revolution. 64 Bits is open Monday to Sunday 12-6pm, until 8pm Thursday, and can be visited until 21st April 2017. The Press Centre, Here East, Queen Elizabeth Olympic Park, London E20 3BS. Here East is London’s home for making. With 1.2 million square feet in London’s Queen Elizabeth Olympic Park, Here East brings together business, tech, media, education and data in the pursuit of innovation. They’re home to established names and nimble startups alike. Previous PostAliens over Ludlow – Newsfield invades the Buttercross!Next PostIt’s curtains for Dizzy at the National Videogame Arcade!